Joseph Irungu is the main suspect in the brutal murder of Monica Kimani, detectives are certain they have evidence to pin him to the murder. Monica was found murdered in her house on September 20th. Her throat had been slit wide open, her mouth had been covered with tape, her legs bound and hands tied at the back. Monica’s mother Miriam Kimani has spoken to the media for the first time since her daughter was brutally murdered. She talked about her late daughter in an interview with K24. Miriam’s mother stated that her daughter wasn’t murdered because she was involved with a sponsor. 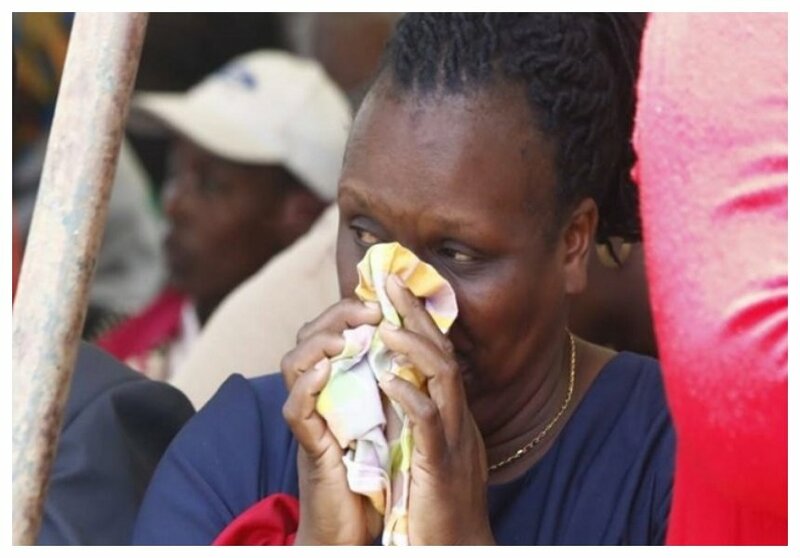 She also sent a message to Joseph Irungu telling him that she had not forgiven him for killing her daughter. “Kitu inanipea amani ni kujua Monica hakukufa ju ya pesa ya mwanaume. Ni uchungu na ni kitu inauma. Na mimi nlisema Joe aambiwe sijamsamehea,” said Miriam Kimani.